~....Thought this may be interesting, but most of all helpful & important as well as serving as a reminder for this weekend, for all those people living in areas that observe daylight saving time . "Here's everything you wanted to know about the time change this weekend. The time change begins on Sunday, March 10, at 2 a.m., when clocks are moved forward by one hour. The time change is set for 2 a.m. because it was decided to be the least disruptive time of day. 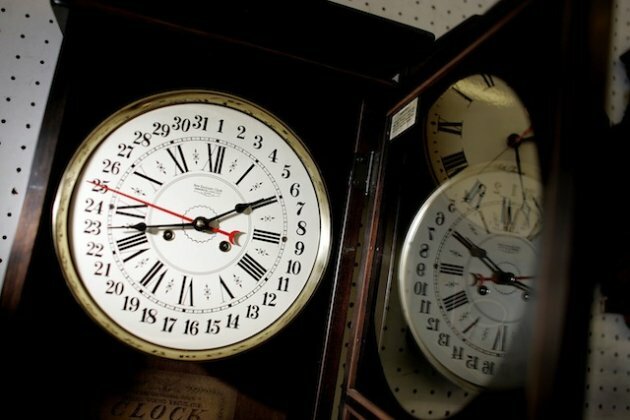 Moving time forward or back an hour at that time doesn’t change the date, which avoids confusion, and most people are asleep, or if people do work on a Sunday, it’s usually later than 2 a.m.
Do all states observe daylight saving time? Hawaii and most of Arizona don’t observe the time change. U.S. territories that don’t go on daylight saving time include American Samoa, Guam, Puerto Rico and the Virgin Islands. The idea is to save electricity because there are more hours of natural light. Studies have shown the savings to be fairly nominal—the time change leading people to switch on the lights earlier in the morning instead or cranking up the air conditioning, for example. Fun fact: The idea was first floated in 1784 by one Benjamin Franklin. While minister of France, he wrote the essay "An Economical Project for Diminishing the Cost of Light." The idea failed to see the light of day until 1883, when the U.S. railroads instituted a standardized time for their train schedules. That time change was imposed nationally during the First World War to conserve energy, but it was repealed after the war. It became the national time again during World War II. After that, it was up to the states to decide if they wanted it, and when it would start and end. Congress finally enacted the Uniform Time Act in 1966, which standardized the beginning and end of daylight time for the states that observed it. In 1974 and 1975, the energy crisis moved Congress to enact earlier daylight start times, which were reversed when the crisis was over. Daylight saving time since then had always been in April—until the Energy Policy Act of 2005 ordered the earlier start time to begin in March 2007."